Unless seeds are planted, watered, and given enough time for growth, there is little expectation of a harvest. That’s how it works in farming; it seems it is similar with people and their faith. This week on the Lifeschool Podcast, we discuss the spiritual metaphor of sowing and reaping. Is it possible to do any reaping if there’s been no sowing done before us? 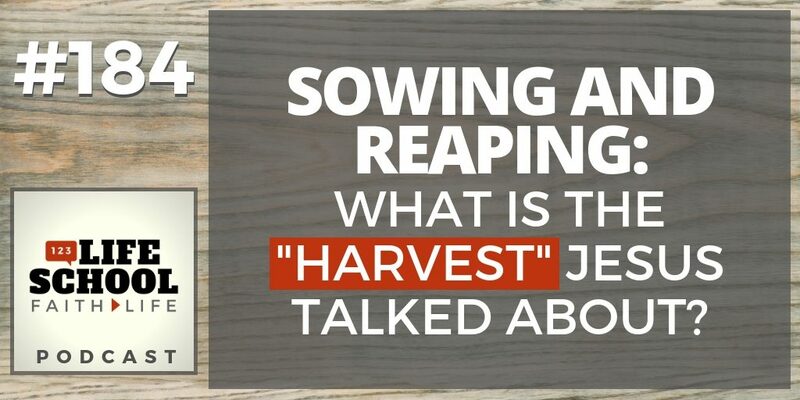 And what is the “harvest” that Jesus actually talked about? This topic gained quite a bit of traction and interest when we posted it on the Lifeschool Facebook group. And it appears that while harvesting is where the “action” is, Christians are often unsure how to do it and are left curious about previous seed sowing efforts that would lead to a spiritual harvest in a person’s life. What Jesus taught about the amount of “fruit” that is ready to be harvested. Why sowing and reaping is an ongoing cycle (like on a farm), not a once-and-done type of thing. Coaching that Caesar is offering. If you are interested in learning more about being coached and mentored by Caesar toward life in a missional community, and learning how to disciple others, click here now.